In an older picture of this pattern, the peacock sword was much heavier and more full – perhaps more in line with an Alexandra with the tips all lined up. 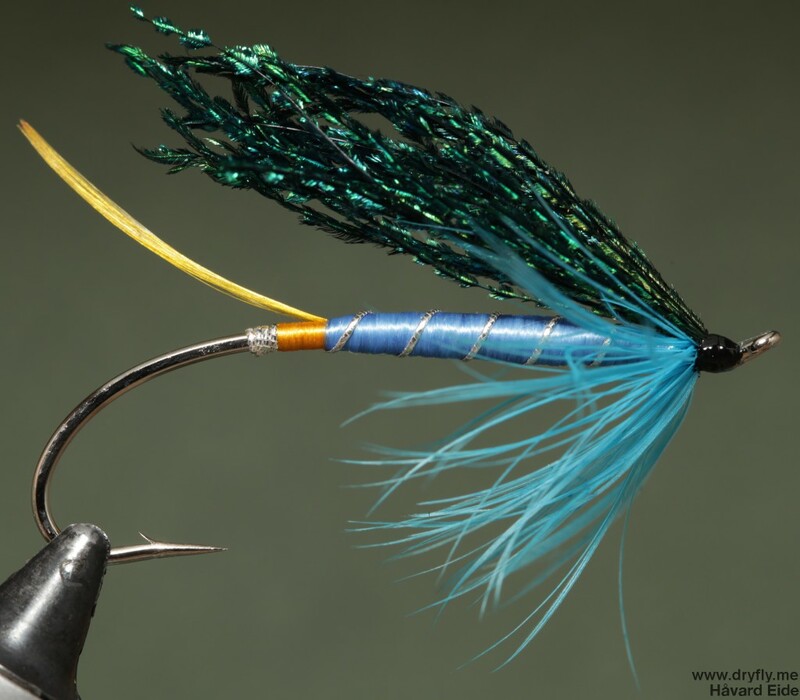 The hackle had more of a blue-green tint, perhaps turquoise. This tie is very pretty although the older pattern had a certain something.